Among the features added to recent AutoCAD® software releases, subdivision surfaces (also known as MESH entities) are especially interesting. These entities are exposed in the classic entity list format. So, our good old AutoLISP® can be used for creating and modifying them. By calculating the coordinates for their vertices from different math formulas, we can create an unlimited variety of 3D shapes. By smoothing these meshes, converting them to surfaces and solids, and applying the different surface and solid editing tools, we can explore a vast universe of 3D forms. These forms can be used as masses in Autodesk® Revit software for the development of new design concepts. 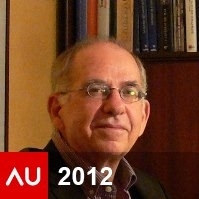 These videos are my presentation to Autodesk University 2012 Virtual. They demonstrate some of the functions developed for my book AutoCAD expert's Visual LISP, Part 4: 3D Programming. This part is also available as the Kindle e-book Programming 3D. Módulo 1. Introduction. What to expect from tis class? Module 2. Working in the Visual LISP IDE. Module 3. Meshing through LISP. Module 4. To Entmake a MESH, Part 1. Module 5. To Entmake a MESH, Part 2. Module 6. Ways to MOD the MESH: ENTMOD. Module 8. What can a MESH become?